Born in St. Lucia, I enjoyed the likes of the ocean. After completing high school, I enrolled in the Marine Technology program at Kingsborough Community College in New York and graduated with an associate degree. 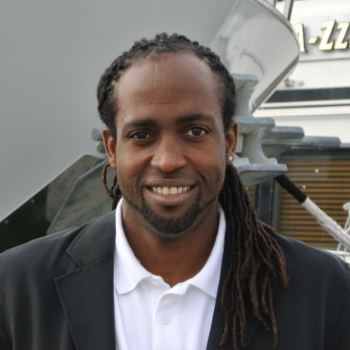 Life in yachting began for me while a student, as a deckhand in the summer of 2001. I steadily moved from deckhand to captain. In 2004, I obtained my captain license. Since then I have been gainfully employed as a captain, working on various yachts ranging from 60 to 120’. I’ve participated in boat shows; as well as assisted in purchase and completion of sale. I presently hold a 200-ton USCG license. My success lies in the fact that I’m multifunctional. I provide maintenance, upgrades, deliveries and recommendation on services. All these technical skills and additional attributes of honesty and loyalty make to maintain my good standing within the industry. In this line of business, I’ve developed great relationships with the vendors, brokers and consultants. Working with me as your broker, you can be guaranteed great service, which delivers results.